Pfizer filed a patent for the self-engineered rheumatoid arthritis medicine; Tofacitinib which was rejected by the Patent Office on the ground that the drug does not enhance the efficacy of the existing approved drug. LG, the South Korean multinational conglomerate, will be introducing smartphones embedded with mobile communication technology developed by Nokia Corp.
On the fourth day of the ILS IP Week 2015, the enthusiastic attendees had the rare opportunity to witness the legend, Dr. Mohan Dewan, give an insightful talk on Patents in the Drugs and Pharmaceutical Industry. The fact that Dr. Dewan almost effortlessly conducted two consecutive sessions with reliance on nothing but his mind and voice is itself an indication of the man’s patent brilliance. This Just Finally In: Basmati Rice heads towards GI protection in India! The Chennai bench of the IPAB is set to hear claims on a priority basis for securing GI protection for Basmati rice from 8th July to 10th July 2015. After growing support from basmati rice exporters, the urge for GI protection has grown stronger in the Indian community and the Indian government. As many of our readers may be aware, Indian grown and cultivated basmati rice has been embroiled in an IP controversy for nearly two decades. It all began after a Texas based company named RiceTec shamelessly secured a patent for basmati rice from the USPTO in 1997. 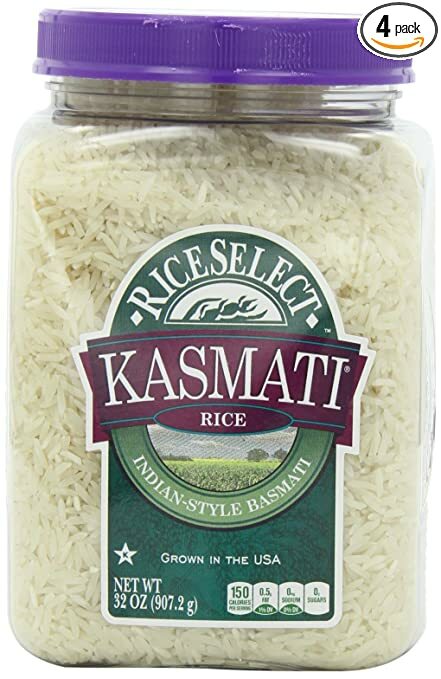 After the Indian government made a huge hue and cry about this before international forums, the American company either lost or withdrew most of its claims before the USPTO; most importantly, RiceTec lost the right to call their rice lines “basmati“. 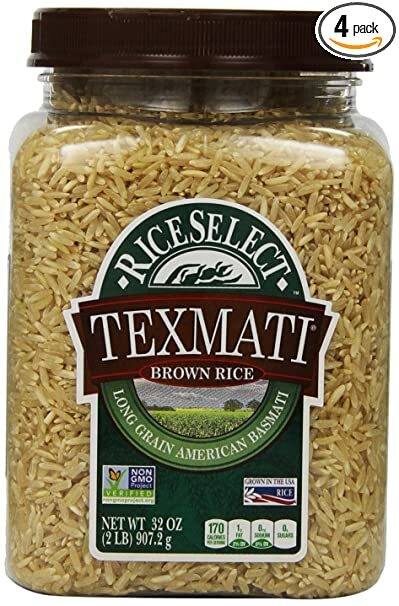 However, even today Ricetec markets its basmati products as Texmati and Kasmati. The IPAB is mainly going to take into consideration arguments made by stakeholders on whether or not to include Madhya Pradesh into areas which have traditionally grown Basmati rice in India. However, various experts and other stakeholders have raised a strong voice against such inclusion as it may affect the rights of farmers and also the quality of Basmati rice which is exported. Claims for inclusion aside, it is most pertinent that the IPAB grants GI protection to Basmati rice as this would greatly strengthen the rights of Indian farmers by ensuring them fair competition, quality products and reputation in the international commodities market. It will also give them (and authorised traders) a strong basis to enforce their exclusive right before national Courts and trade forums. In terms of the importance of securing GI protection, various national associations such as the Scotch Whisky Association, have vigorously protected its exclusivity across the world. It stated that since the claims lacked inventiveness, the application was refused under Sections 2(1)(j), 3(k) and 10(4) of the Patents At, 1970. In order to obtain a patent on software, the Act requires that the said software be an internal part / aspect of the hardware itself. Facebook’s application in the did not satisfy the aforesaid requirement. Conducted by Prof. Heinz Goddar, Senior Partner, Boehmert & Boehmert, this two-day workshop is slated to be held at Hotel Taj Banjara (Hyderabad) on 30th April and at Hotel Lalit (Mumbai) on 1st May 2015. The discussion at Workshop will be dealing with important recent developments in the field of pharmaceuticals and biotech patent law in the EU. Quia Timet Injunctions: Devil In Disguise? Section 13(4) of the Patent Act, 1970 says that even after a patent has been granted, it is not presumed to be valid. Once a patent is applied for, it goes through various levels of scrutiny, namely it first goes to the Examiner of Patents who gives his opinion via the First Examination Report (FER), next the Controller examines the patent in a pre-grant opposition and then the patent is finally granted. However, as per the provisions of the Act even after going through so many levels of scrutiny, the status of patent is still under question. Though it does sound like a self-defeating provision, in cases where injunctions are granted by the Court, first the patent needs to be prima facie proved to be valid and then a prima facie case has to be established to prove whether an injunction should be granted. Welcome back to IP Week 2015! The presentation mainly dealt with the benefits of and hurdles arising in monetizing patents while ensuring the optimum Return on Investment (ROI). Royalty is the amount of money generated from smart patent licensing. This amount may be in the form of a one-time lump sum payment or a recurring percentage based on the sale of the commercialized invention or both. Payment of royalty may also depend upon the completion of certain milestones embedded in the licensing agreement. In light of the positive attitude towards start-ups and new ventures in the present market, there is huge scope for both foreign and domestic investment in technology based ventures in the global market. “There is no better competitive edge in the market than that of having a patent”, said Mr. Sahay. Needless to say, the fierce competition for innovation in the market, the markets are likely to be bestowed with new and more effective technology. Olympus Has Risen: The Titans have arrived at IP Week 2015! Hello everyone, and welcome to IP Week 2015, the first event in the ILS Law College wherein resource persons from all walks of an IP life get together with the students to share their expertise, experiences and intellectual findings with the latter. Interitus IP will be exhaustively, and exclusively, be covering each session of each event on this blog. In addition to a brief note on the subject matter on the presentations (made by the resource persons), I will also be sharing with you a link / PPT file of the presentation itself. So hold tight, there’s an IP tsunami coming your way; and yes, you would love to drown in this one. With Mr. Abhishek Sahay pulling the patent trigger, the IP Week has certainly begun with a bang. Mr. Sahay’s agenda was simple: to educate the attendees on the various issues, hurdles and trends revolving around the law, practice and commercialization of patents between two consecutive sessions. These topics, through Mr. Sahay’s oration, magnetically flowed into the minds of the attendees in a swift motion; right from 2:00p.m till until three hours thereafter. In the first session, the attendees mainly learnt the basic concept(s) of the law of intellectual property rights, its nature, its branches and its scope for protection (mainly) in India. It was brought to light by Mr. Sahay that IPRs are nothing but a modified form of property rights; and that to that extent the two laws are overlapping. Both rights find their culmination in negative rights, which confer the right upon the property or IP owner to prevent any other person from making, using, earning profit or otherwise access the former’s property without his permission. As the presentation progressed, Mr. Sahay also dealt with certain seemingly similar, yet actually distinctive, feature of groups of IPRs; such as designs and patents which can be distinguished on the basis of its aesthetic value and utility respectively. A case study of Coca-Cola’s trade secret was also briefly discussed by the Presenter. After what may seem like an unfamiliar move in academic territory, Mr. Sahay was successful in identifying multiple IPRs in one product by using an image of a branded scotch whiskey bottle. Polaroid had patented camera technology prior to Kodak. In their claims, they had sufficiently included Kodak’s model within the scope of its claim. Kodak was sued for patent infringement and had eventually had to cough up nearly USD 1 billion in damages in addition to a 15-year exile from the market. Revolving around Bajaj’s DTSi technology, this patent infringement suit culminated in an interim injunction against TVS for one year; causing losses running in the millions. Defending the suit also caused great litigation costs and a steep drop in the share price. This case also shows that product marketing heavily depends upon innovation; since Bajaj applies most focus on its patented DTSi technology to promote its bikes (products). “Even a comma, full stop or a single word have cost patent owners protection over their inventions; only because their filing procedure and approach were inefficient”, said Mr. Sahay. Apple Inc., while filing for a patent in The I-Pod, specified the scope of the claim to include a media-retrieval device; even though in fact the product was meant to serve the purpose of an audio retrieval device. Consequently, Apple would still be protected by patent laws even when a third person manufactured anything that fits within the scope of the words “media-retrieval” device. This small yet smart move on Apple’s part has allowed them stronger protection and a greater competitive edge in the market. In a way Apple preempted competitive innovation in the market by applying for a wider scope in the patent application than it actually intended to act upon. The Session concluded at 3:30, at which time the meeting took a short tea-break. Don’t leave your eyes off the screen; Interitus IP will be coming up soon with a report on the Second Session of the first day of IP Week! PPT files of the presentations will also be uploaded in good time.